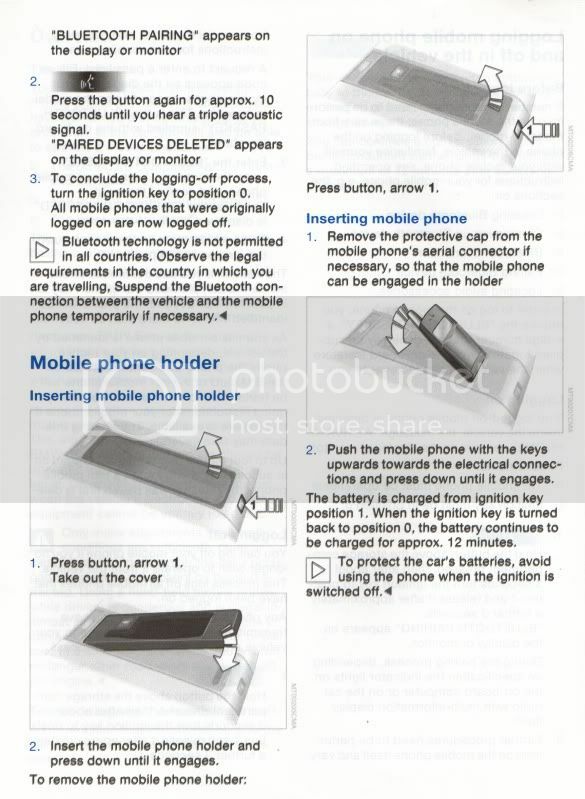 For all those struggling to get the Bluetooth to connect, thought I'd post what the manual says. 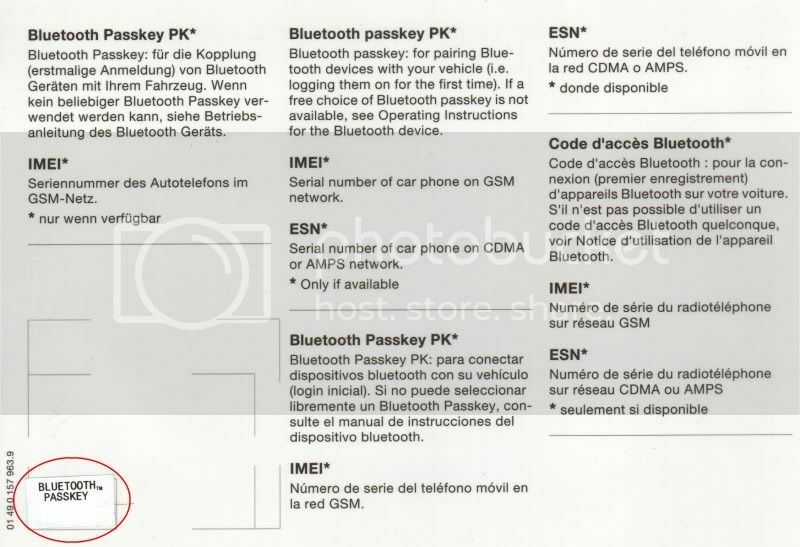 Please note you need the 4 digit passcode to get the pairing right. Picture 5 shows the card with the sticker on it (circled red) with my code. If you don't have that, get it direct off the module itself, located in the boot on the left-hand side cubby hole. Silver box attached at the bottom at 45 degrees. Last edited by Raj on Wed Jun 06, 2012 11:41 pm, edited 1 time in total. I've followed these instructions in manual to the letter, and can't even get as far as to get them to see each other and try to pair. I have an iPhone 4S. Any suggestions? Is this a job for bmw? X5 3.0d Sport, 'Facelift' 54 plate, Sapphire Black, 20"ers, Sat Nav, 6 CD Changer, TV, Panoramic Sunroof, Heated/Comfort seats, Xenons, Parking Sensors. Are all other phones paired deleted as youcan only have a max of 4 paired to the module. You may need to check the connection under the cradle otherwise as that is a weak point I believe. Other thing is to check the actual module in the boot. It certainly is something you can investigate/diagnose yourself without having to go to BMW. Has anyone managed to successfully pair an iPhone 5 yet? 3.0d Sport Exclusive E53 CB with black comfort, pano, folding dimming mirrors, 20"ers, comms, xenons, focal sub, Intravee II, GSM heater........and so on. was to be very precise with the timing ,try it the only way it worked for me was hold down button and count to 3 turn key to pos 1 and continue to 6 then release .So from start to finish exactly 6 seconds works great on mine hope it helps . If you have one, it should have the paring button in the arm rest, you can also start paring through the navigator screen. My iPhone 4S would see the car, but refused to connect. Deleted all SMS message history, and after that it connected right away, and uploaded my contacts list to the BMW computer. Works like a charm. Now it auto pairs as soon as I get into the car. Mine is a March 04 E53. I managed to pair my HTC ONE S with the car after a bit of faffing around. My problem is....it keeps disconnecting every so often, and then reconnecting. 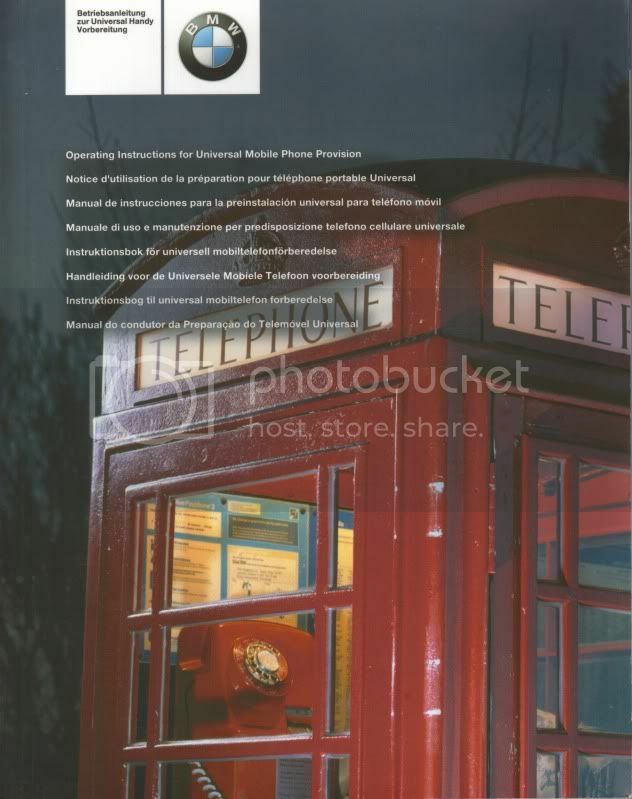 Ive never managed to have a successful phone call without it disconnecting at some point. Very frustrating to say the least. Also my call buttons on steering wheel dont work. 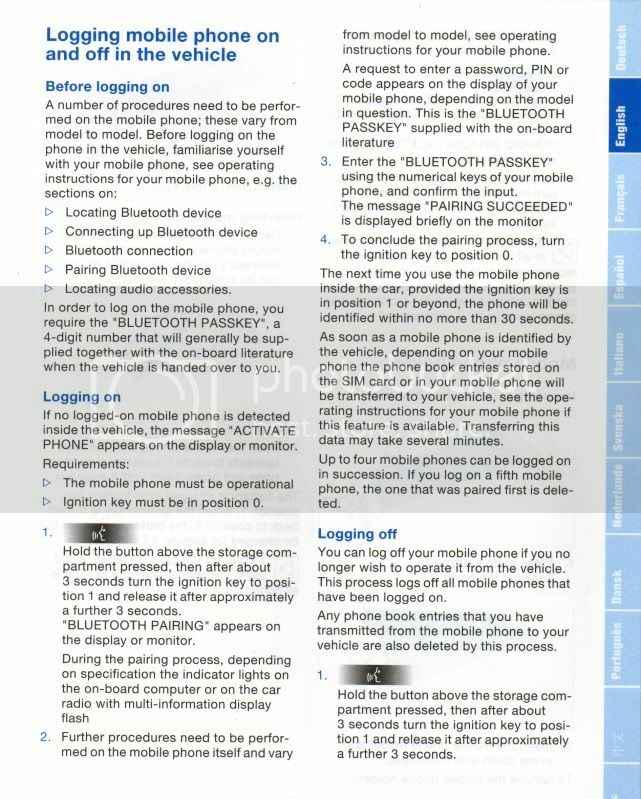 thought i'd share my little Bluetooth story. I have a USA spec Dec 04 build 3.0, ive owned it from new and personaly imported it home with me some 7 years ago.Well the car has the full USA system of Assist and BT but i have never managed to get it to connect to anything over here and guessed it was just bad luck for me cos the car is US spec and its now in the UK where the phone systems are completly different......untill....I got my first IPhone 2 weeks ago a new IPhone4 . 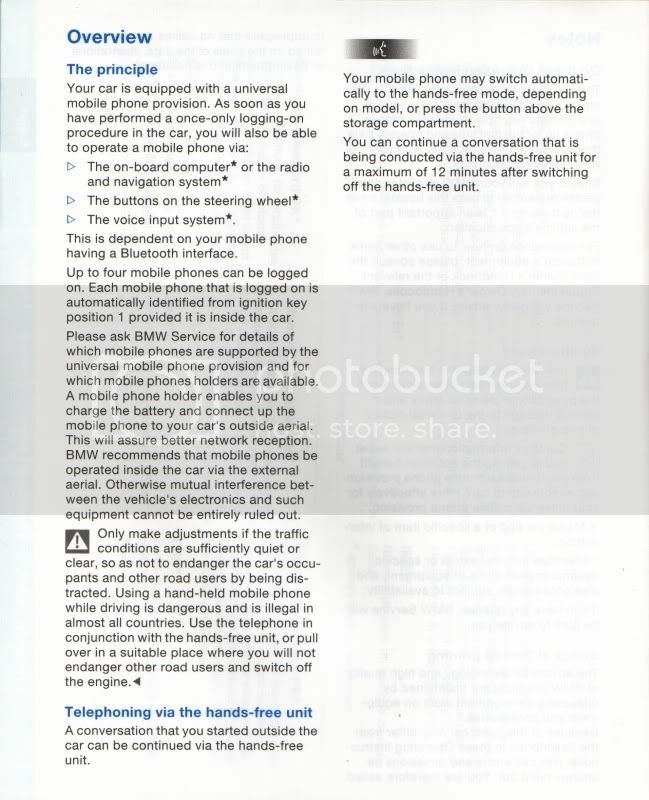 I was reading a forum about BT parring and was looking at buying a new TCU unit a euro one thinking that might solve my problems, when I read about how to connect a phone up.So I rushed outside to the car did as I had just read and bingo after 7 years I have full BT integration , address book works, steering wheel controls work, cant believe it. I got mine to work 2 weeks before I sold it, but only had it 18 months so not 2 bad. Last edited by scooby1doo1 on Tue May 28, 2013 5:02 pm, edited 1 time in total. Still can't bleeding do mine I've tried this and that it'll be the hammer next no im not the most patient of people and I no it's not the end of the world it just bugs the F***K out of me ).